How do power and inequity impact on adult–child research relationships? What does it mean for relationships when researchers ‘intervene’ in the field? How do bodies matter in research relationships? What does an emphasis on relationships with young children mean for the research process? Drawing on data from their own research, the authors contend that relationships are part of a wider web of social relations and space–time configurations. They propose and develop a relational ethics of answerability and social justice, inspired by the work of Bakhtin and, in addition, explore the way material bodies come to matter, the ambiguity of consent in educator-research, and the risks and possibilities of research relationships. Chapters include innovative formulations of reciprocity, ‘sensing practices’, and political-ethical responsibility. 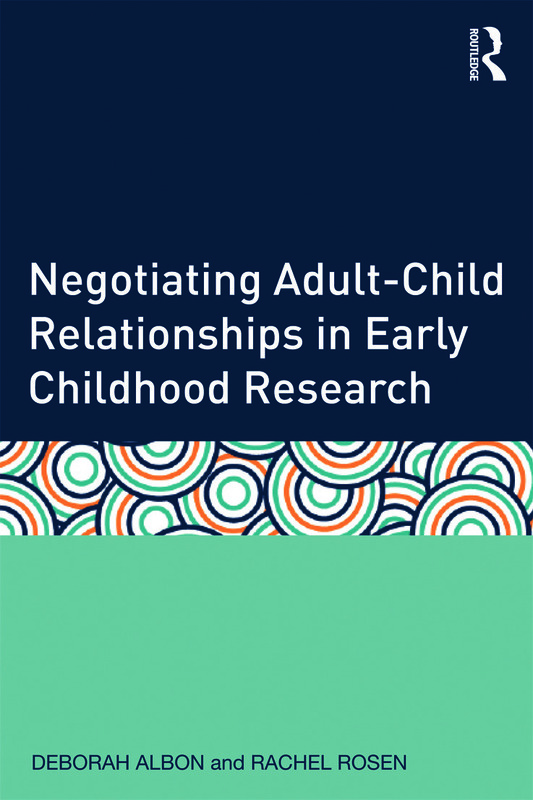 This book contributes to current debates about research with young children, offering an incisive and thorough exploration of the importance of relationships to the research process. Relevant for international audiences, this book is essential reading for early childhood students and educators, researchers, and lecturers with an interest in research with children. Deborah Albon and Rachel Rosen are both Senior Lecturers in Early Childhood Studies at London Metropolitan University, UK.